Tanzanian actress and Miss Tanzania 2006, Wema Sepetu, turned 29 yesterday. She is a year older than her ex-lover, but very good friend Diamond Platnumz who will be celebrating his 28th birthday on October 2. 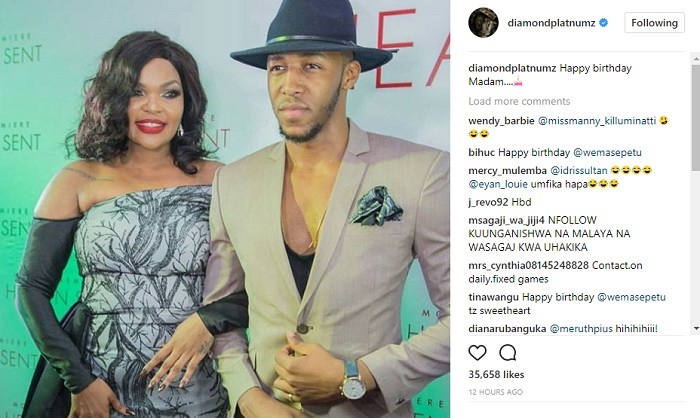 Platnumz was among the first people to wish Wema the very best on her day. "Happy Birthday Madam," he wrote on Instagram. Diamond Platnumz other baby mama, Hamisa Mobetto who is best friends with Wema Sepetu added this; "Happy birthday Da Wema, I love you so much, we will talk more via inbox..."
Still talking birthdays, September 23 was Zari's birthday, she turned 37 making her ten years older than her baby daddy, Diamond Platnumz. That difference will reduce to 9 years in three days when the Marry You singer adds another year to make 28. It's not clear if this is the reason Hamisa Mobetto has come to his life, she is 13 years younger than Zari. The issue of Honey Jesca has now been solved after the real mom of the twins came out to say that the singer was not the dad of her children. Honey Jesca was operating under a fake Instagram account. At the time when Honey Jesca news were making rounds, Diamond Platnumz was in South Africa for Zari's birthday. 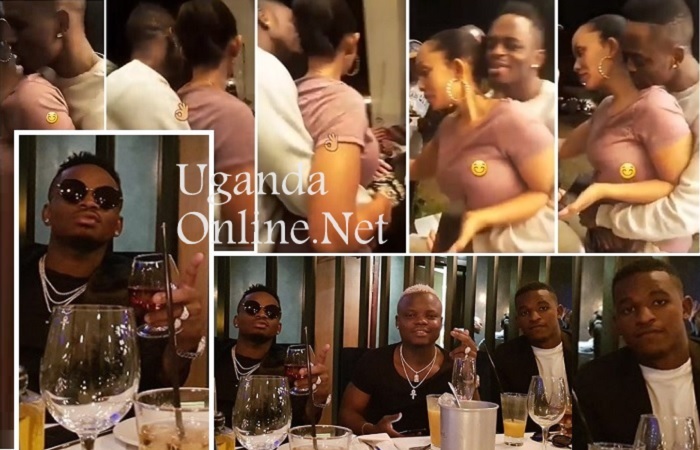 Unlike other times, the two [Zari and Platnumz] did not have any of those romantic pics to share on their respective timelines except for a few shots that were shared by some of the guests at the bash. It was an invite only event that saw a handful of guest attending. At the bash, you could clearly see Zari not happy at all as she was steadily going through a recovery process. 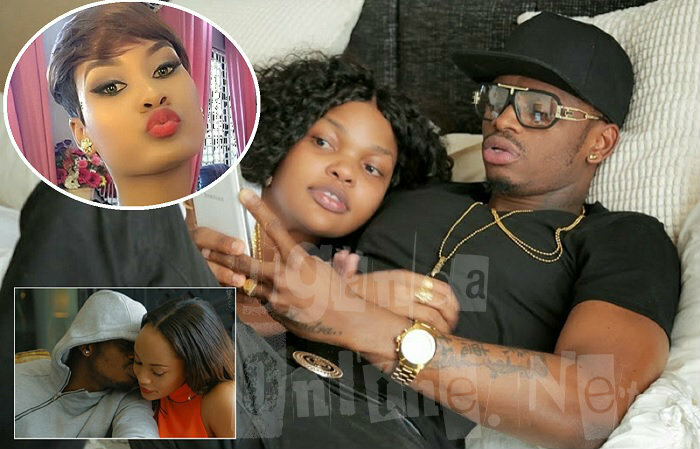 Platnumz quickly grabbed her from behind and started whispering sweet nothings in her ears as the two danced to background music amidst cheers from pals. They later hit town all dressed in black to crown off the day in some cool environment where they continued discussing more on how to handle the Hamisa Mobetto issue.